American electronic music trio Major Lazer has released a new video for “Run Up” featuring OVO’s very own PARTYNEXTDOOR and “Queen Of Rap” Nicki Minaj. The new song is sure to inspire dance routines all over the internet because the video features a number of scenes that show partygoers dancing. The video is centered around a modern day party, which is why the constant shots of people at a party just staring at their phones is a nice touch. At one point the power cuts off during the party and it doesn’t even have an effect on partygoers because they were to busy tending to their cell phones. When Nicki Minaj begins her verse the creativity is seen because the video cuts to the filter of a Facetime video. The ending scene can be seen as a snapshot of the way this generation chooses to socialize. PARTYNEXTDOOR and is face timing a woman that is standing right next to him and at no point do they ever look at each other. This year Major Lazer has been active in the live performance realm. 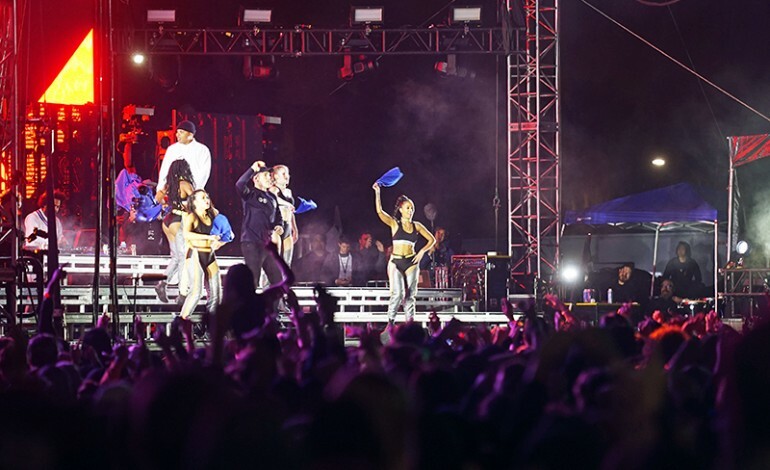 They performed at the Air + Style festival to a loud crowd of excited and raging fans.